Humble, loving, and kind, Thomas Edward Butler lived a life rich in family and friends. A devoted husband, father, and grandfather, Tom never met a stranger; he welcomed everyone into his heart and embraced all people as friends. While naturally gregarious, Tom also understood the gift of quietly listening to others. Revered by many, Tom will long be held in the hearts of those who were blessed to know him. After years of misery brought on by the Great Depression and World War II, 1949 marked significant postwar prosperity sales of cars, televisions and the other goods are demanded by a consumer society. The establishment of NATO, the first sale of a VW Beetle in the US, the first successful television sitcom, and the first Polaroid camera all marked 1949 as a year of hope, growth, and consumerism. The nation’s focus was on family and hope for a brighter future. Nowhere was their more hope than in the home of Glenn & Anna (Surdick) Butler as they welcomed their son Thomas into their hearts and home on July 21st. Tom’s first 13 years were spent growing up in Chicago, IL. His father provided for the family by working as a master auto mechanic, and his mother was a homemaker. 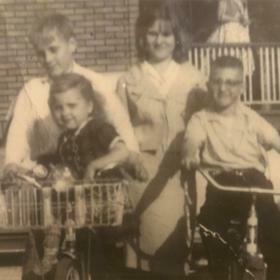 Tom’s teen years were spent in Vicksburg, Michigan where he attended school and graduated with the class of 1968. After graduating from high school, Tom attended Davenport College for a time. His first jobs were at Western Auto and Arco in Schoolcraft. 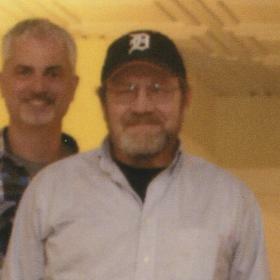 Eventually, he found work at Southon Paper Company in Parchment where he stayed until he began working in the contract furnishings business at Haworth from where he retired in 2009. In 1970, while living with his sister, Tom looked out the window one day and instantly fell in love upon laying eyes on his sister’s neighbor, Teresa. Convinced of his good fortune, Tom declared to his brothers-in-law that he was “going to marry that girl someday.” Soon after, Tom and Teresa went on a blind date with his brother Bob and Barb. Instantly smitten, the young couple walked into the bowling alley holding hands and have been holding hands ever since. With two week’s planning time, Tom and Teresa married on July 8, 1972, at the United Methodist Church in Mendon, MI and celebrated their nuptials with a reception at Teresa’s parents’ home. The happy couple honeymooned in Room 7 at the Plainsmen Hotel in Schoolcraft and made their first home together in Vicksburg. In time, Tom and Teresa were blessed with three children. Mary, Becky, and Tommy were Tom’s pride and joy, and he relished in family life. He was a great father who showed each of his kids how a good man loves a good woman and creates a loving home for their children. He raised his children to value family, hard work, and the importance of generosity by embodying those values himself. He lived by example, and in doing so, provided a powerful role model. Though the family moved around the area for a bit, they ended up settling in Plainwell where Tom and Teresa made their home for the last 30 years. Sunsets in South Haven were cherished, and family vacations were memorable. Over the years the family traveled to Las Vegas, Phoenix, Panama City Beach, and Seattle. Tom loved vacations with his family and one of his favorite memories was a trip to the Rocky Mountains when he was a teen. 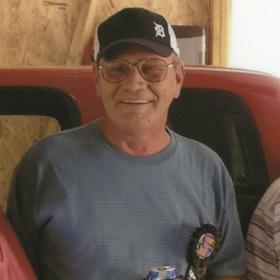 A man of many interests, Tom enjoyed fishing, bowling, horseshoes, and most of all watching his beloved Detroit Tigers. He thought he was the Tigers good luck charm because they always seemed to pull off a win when he was there in person. Music was his passion; he played guitar and loved to sing. 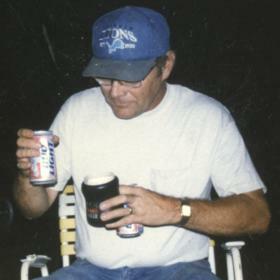 Tom also took pleasure in sitting in the garage with friends and family sharing a beer, singing karaoke, telling stories, and spinning a tall tale or two. His chicken on the grill was unrivaled and his snack drawer was always full. All were welcome and no one’s needs were left unmet when Tom was around. While his children were his joy, his grandchildren were his heart’s delight. Tom cherished being a grandfather and took great pleasure in sharing time with each of them. From the time they were young and as they grew, Tom kept close watch over his grandchildren. He stocked the cupboard with their favorite snacks, played chauffeur when needed, and tracked their locations on his phone. There’s was absolutely nothing he wouldn’t have done for them! He paid attention to what was important to each of them and supported all of their endeavors. In his heart, there was no doubt they were enough and that they were loved fully. Tom was a good friend to others and was blessed to enjoy many friendships. He was especially close to his brother-in-law Terry and was deeply saddened when Terry died in 2005. He also enjoyed the loyal companionship of many dogs and cats throughout his life. Peanut was his last buddy. Without a doubt, there was no greater friendship than the one Tom shared with his beloved, Teresa. While his love was immeasurable, it was evident in the way he cared for her and so obviously appreciated the gift of having her at his side. As their marriage began all those years ago in room number 7, so too did their final goodbye.  As his last moments drew near, Tom reached into Teresa’s dream where he told her to bring the kids to say “goodbye.” They gathered together in room number 7 at Rose Arbor where they had a final hugging party and kissing party, enveloping him with gratitude as he returned the kisses before taking his last breath passing away in the comforts of their love. Though life certainly feels less certain in the absence of Tom’s steadfast presence, may it afford deep comfort to know that his legacy lives on in each of our lives. Each time we make a friend of a stranger, freely give our knowledge away to someone else, share a Lake Michigan sunset with a loved one, or use a bunch of emojis in a text, we keep the bright light of Tom’s spirit shining. In this way, he will continue to inspire others as he so inspired us. 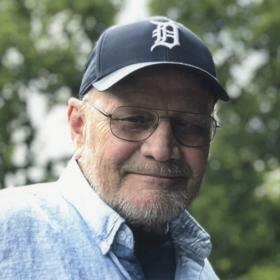 Thomas Edward Butler, age 69, of Plainwell, passed away on October 17, 2018, with his wife and children by his side. Tom was born on July 21, 1949, to Glenn & Anna (Surdick) Butler. Visit with his family and friends and view his life story film on Thursday, October 25 from 4:00 p.m. to 7:00 p.m. at the McCowen & Secord Funeral Home Marshall & Gren Chapel; 120 S. Woodhams St. Plainwell, MI 49080. A memorial service will be held on Friday, October 26 at 11:00 a.m. at the same location. Tom’s family includes his wife of 46 years, Teresa; his children: Mary (Kip) Piper, Rebecca Harley, and Thomas II (Kimberly) Butler; nine grandchildren: Jayden, Logan, Madison and Klair; Steven and Ashley; Cameron, Joel and Alaina; one great-grandchild: Mason; his siblings: Marilyn Stamp and Robert (Penny) Butler; several special nieces and nephews, brothers and sisters-in-law, friends and beloved dog Peanut. Tom was preceded in death by his parents; siblings: Patricia, Eugene, Donald, and Lawrence. 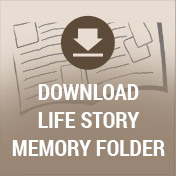 Please visit Tom’s memory page at www.mccowensecord.com where you can read his life story, archive a memory or photo and sign his memory book online. Memorial donations can be made to the West Michigan Cancer Center or the SPCA of Southwest Michigan. In honor of Tom please wear your Detroit Tigers apparel to his service.